It is not unusual to hear bird song in December. Robins and Goldfinches sing year round, Wrens will burst into song at any time. 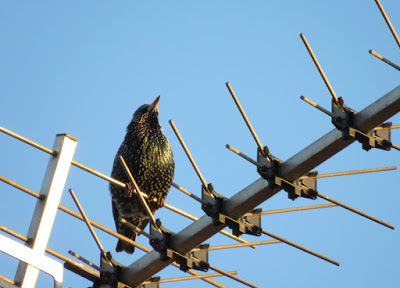 Do Starlings ever stop singing? I don't think they do. 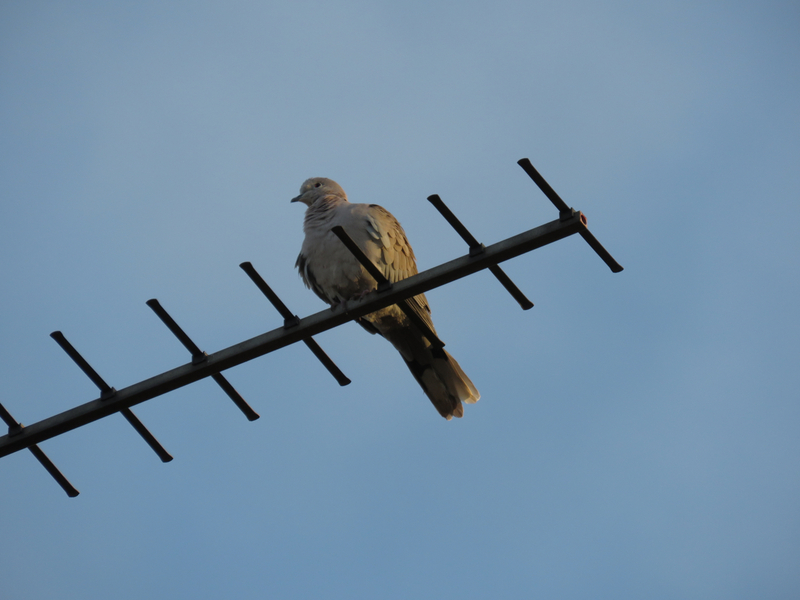 Collared Doves and Stock Doves, after a short rest at the end of their breeding season, can now be heard calling again. 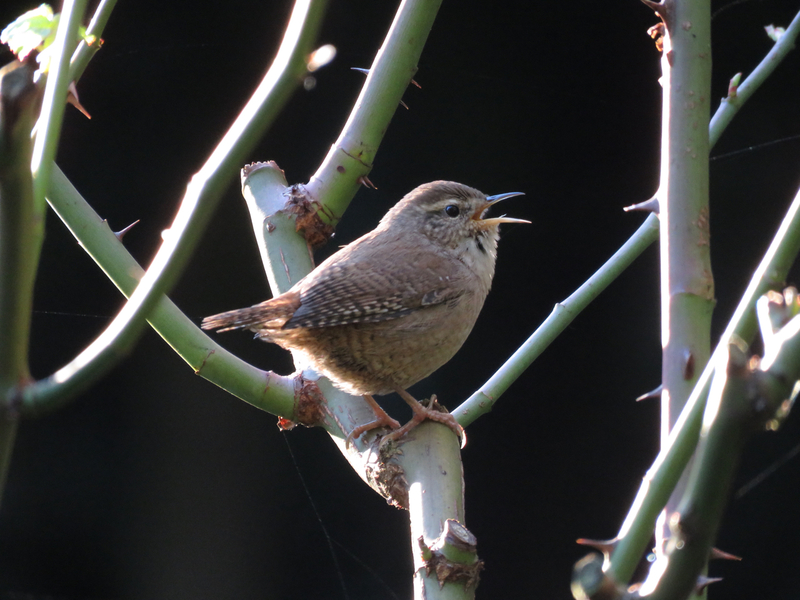 In sunny winter days, Song Thrushes will start singing, maybe more towards January. Collared dove singing a couple of days ago. Today I heard two bird species singing, however, which I've never heard singing at this time of year. 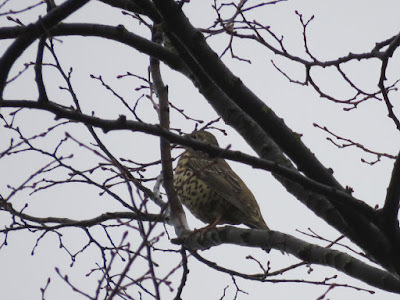 This morning I heard distant fluting phrases that sounded like a Mistle Thrush. I went to investigate and there it was, a Mistle Thrust atop a tree, singing contentedly. 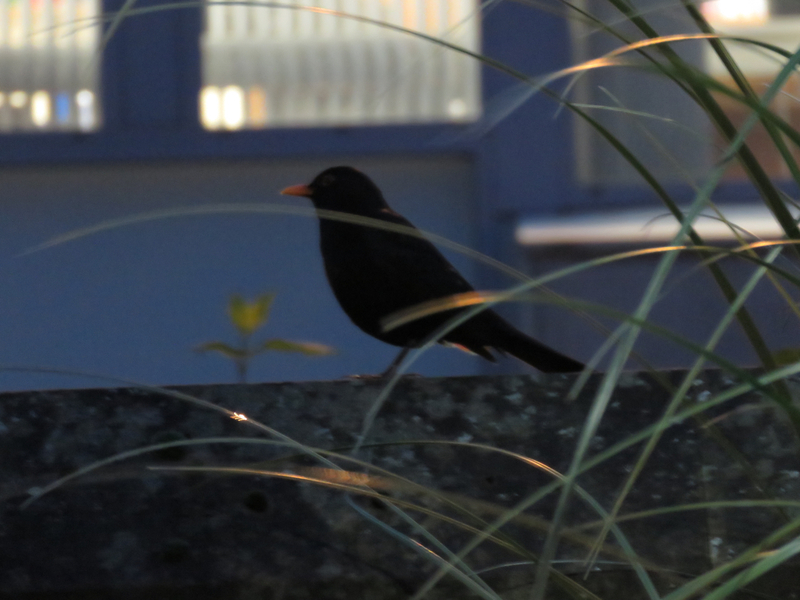 Blackbirds, normally will sub-sing in the winter. This is an eery, very quiet song, that usually subadult individuals carry out, as if 'practising' singing, well hidden in bushes. But as I was leaving work today, as it happened last week, I heard the surreal full song of a blackbird, its beautiful notes raising over the cacophony of the Carrion Crow roost at campus, and transporting me into spring. I had to check this out. There it was a full adult male Blackbird was singing from a wall. Given that it was quite dark at 16:15, the photo on top was the best I could manage without using the flash, but I recorded a short video of it. A very very unusual thing to happen in early December. I wonder if the unseasonally mild weather we are having is confusing this normally spring songster. What a treat to hear the Blackbird in full song. Also, how nice to read a new post from you Africa. Thank you Toffeeapple, it's been a while! I must get to write in The Rattling Crow more, I have been paying too much attention to BugBlog. Very glad to see you posting again -- I always enjoy your blog and its insights. A Mistle Thrush has been singing here in Kensington Gardens during sunny spells in the past few days. We quite often hear Song Thrushes singing in winter, but Mistle Thrushes are far more unusual. As you said, it's probably due to the mild weather over the past few days.